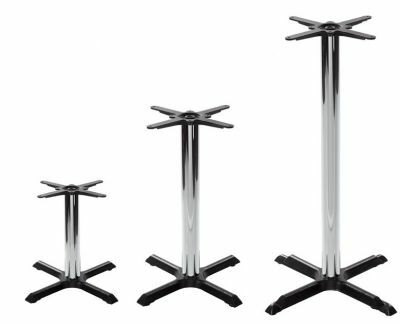 This stand is strong, thick, modern and stylish. It fits all tops up to 750mm square or diameter. Black base and Chrome column. Available from stock for a fast delivery. 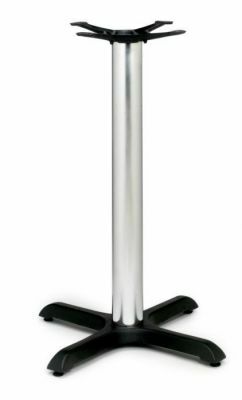 Commercial quality cafe table base with a contemporary contrasting chromed column and black feet. The base can hold a maximum table top size of 750mm round or square. Expect a short delivery lead time of only 2-3 days.